Cape Town – Sasfin on Tuesday announced that it has dropped KPMG as its JSE sponsor as well as its auditor after 18 years over concerns over good governance stemming from the Gupta saga and its fumble on the SARS "rogue unit" report. This comes as Sasfin [JSE:SFN] announced on Tuesday a 16.34% decline in headline earnings per share to R6.11. Sasfin will be changing its independent sponsor from KPMG Services to Deloitte & Touche Sponsor Services from Tuesday, it said. Sasfin is the second corporate to cut ties with KPMG after fintech company Sygnia terminated KPMG’s services in July. The Institute of Directors in Southern Africa has also suspended co-branding activities with KPMG, including sponsorship of its golf day. Sasfin said its decision was made to ensure a separation of the role of external joint auditor to the Sasfin Holdings Limited Group with that of independent sponsor. It said KPMG and Grant Thornton have been joint auditors of Sasfin for 18 and 30 years respectively. KPMG is facing legal action from SARS as well as former finance minister Pravin Gordhan, after it retracted its findings and recommendations in its report on the tax collector's investigation unit. Parliament's standing committees on public accounts and finance are set to tackle KPMG soon, they announced on Monday. 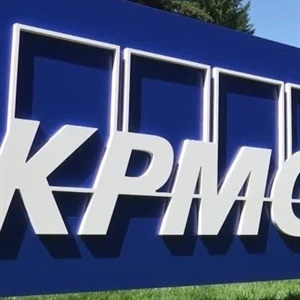 KPMG SA's chief executive, chairperson and five executives have stepped down following a report by KPMG International, which looked into the auditor's work for the Guptas and SARS. Sasfin and KPMG were the Guptas' JSE sponsor and auditor respectively, until they both ditched their JSE-listed Oakbay Resources firm last year. Sasfin's poor results for the year ended June 30, was due to an increase in the credit-loss ratio arising from two unusual credit losses, and the impact of a mark-to-market loss on the group’s strategic investment in Efficient Group Limited, it said in a statement announcing its group results. “While our results this year did not meet our expectations, we are positive about the upcoming year," said Sasfin CEO Roland Sassoon. "This depends, however, on how the worrying political and economic environment unfolds." Explaining the impact on Sasfin’s earnings with regard to the Efficient Group, executive director Michael Sassoon said: “During 2016, the Group acquired a 14.32% interest in Efficient. "While the underlying performance of Efficient has been largely in line with expectations, the share price has experienced significant volatility driven by very thin volumes resulting in large mark to market swings. Its share price remained stable on Tuesday, trading 0.5% higher by 11:25 on the JSE.